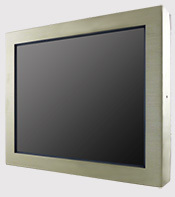 Winmate a global leader in the industrial panel pc technologies and solution offers Full IP65 Panel Computers to withstand harsh and severe environments. Winmate stainless steel housing has anti-corrosion protection and carries an IP65/NEMA4 sealing rating that is completely protected against dust and water from all direction.To provide a clean working environment, equipment must withstand frequent cleaning and disinfection. Winmate Full IP65 Panel Computers meet this requirement with housing that can withstand industrial cleaning agents. Winmate 17" Full IP65 stainless panel pc was installed in the food processing factory where hygiene is important and device will always be exposed to cleaning agent and water. 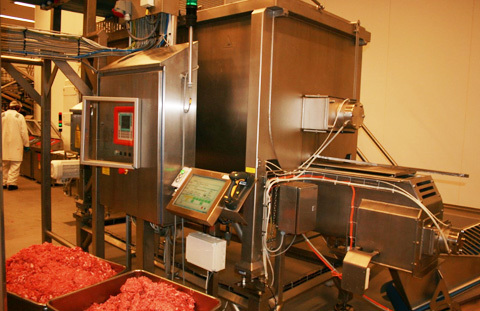 These devices were installed in the production line to control the processing of meat from the slaughterhouse, and also final packing. Customized housing with cable entry frame is needed to protect the standard connectors from water and dust, and also to fix the cable exit. • Expedited delivery of sample for product qualification for faster product deployment in factory.